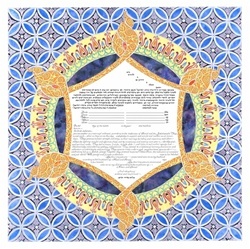 The fiery and flowing hexagram of "Evening Star" blends proud symbols of Jewish identity with the wondrous and infinite order of the universe. The appearance of a bright star in the heavens foretells of an upcoming event filled with blessing and promise. 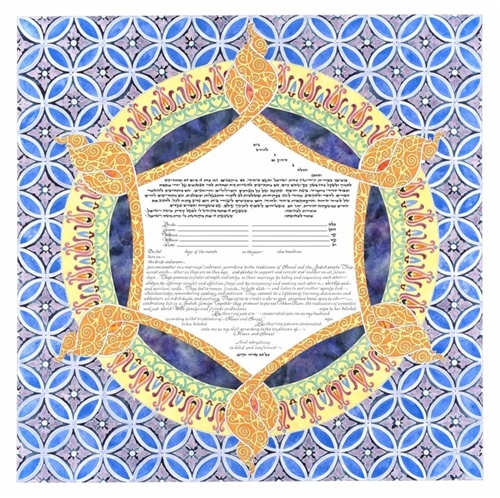 The symbolism of "Evening Star" is offered as a blessing of goodwill from the artist to the betrothed, to family and friends. In the course of its trajectory as a contemplative art object in the home, "Evening Star('s)" message of promise and hope for peace, transcends the individual and the moment, encompassing all humanity for all time.